This mat is made of a polycarbonate material that not only lasts longer, but also holds the adhesive better. This mat will not split or crack. 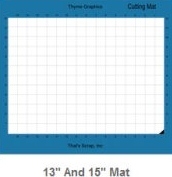 You may renew this mat over and over again with our ReNu sheets saving both time and money! The opening to fit the mat on our 13" machine is 17" and on our 15" machine. This mat is made of a polycarbonate material that not only lasts longer, but also holds the adhesive better. This mat will not split or crack. You may renew this mat over and over again with our ReNu sheets saving both time and money! An ideal mat to practice on before using your Silver Bullet one. A3 size. 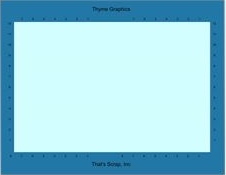 Use this mat with our embossing tool. Measures 18"x 14.5 Fits all Silver Bullet machines. 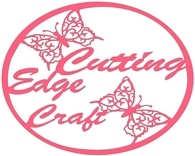 This mat is very sticky and designed to be used when cutting fabric, leather, felt etc. This mat will only fit our 24"machines. It is 27.75x30 inches. OUT OF STOCK. This mat will only fit our 24"machines. It is 24x48 inches.